Tis the season to get baking! Seriously, is there anything better than spending a cold winter weekend cozying up to a warm stove with your kids? 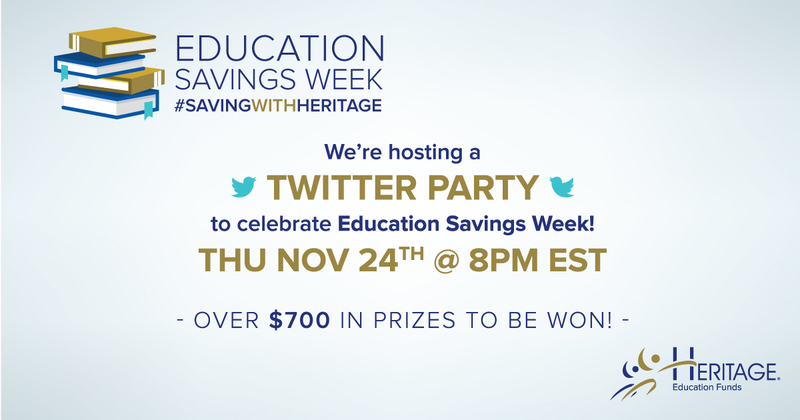 Sleeves rolled up, aprons on, flour flying, and all sorts of treats being whipped up. 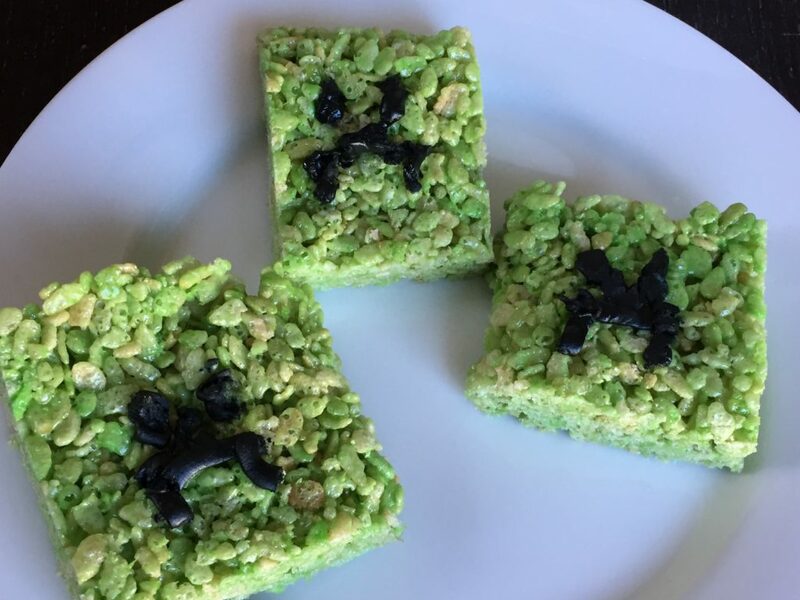 A festive favorite around our place is Rice Krispies treats. 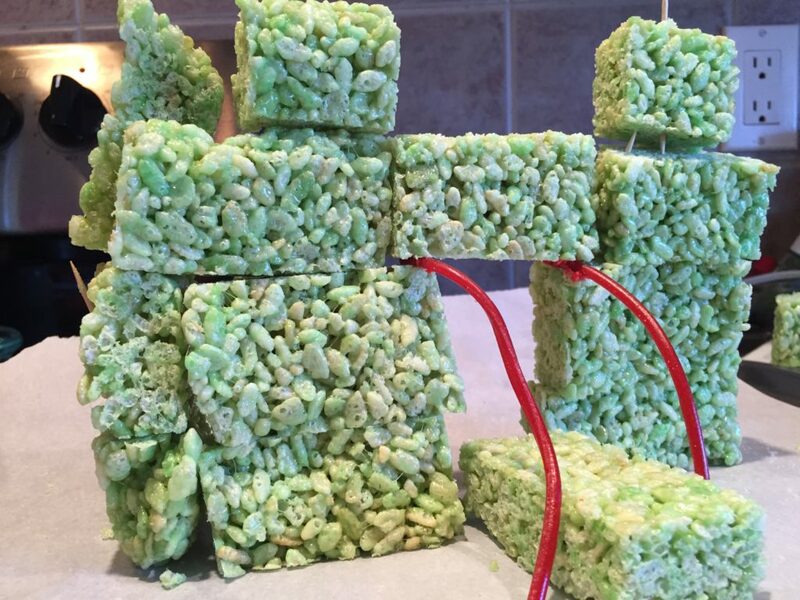 And, with the #TreatsForToys campaign, making the gooey treats has taken on an engineering angle. 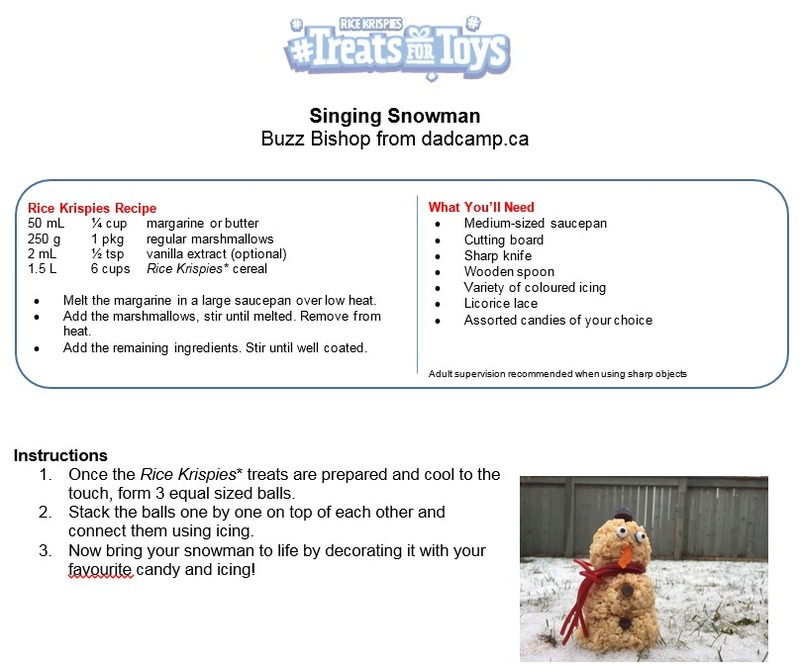 #TreatsForToys works to support The Salvation Army in a program that makes giving back easy by transforming delicious Rice Krispies treats into real toys for less fortunate kids during this festive season. 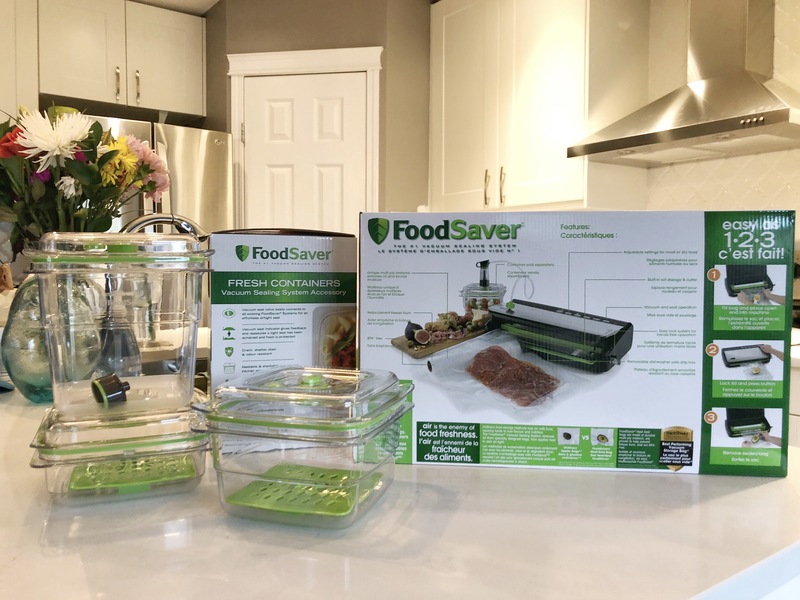 This year we’re going one better by turning our weekend kitchen adventure treats into toys for kids – and you can too! 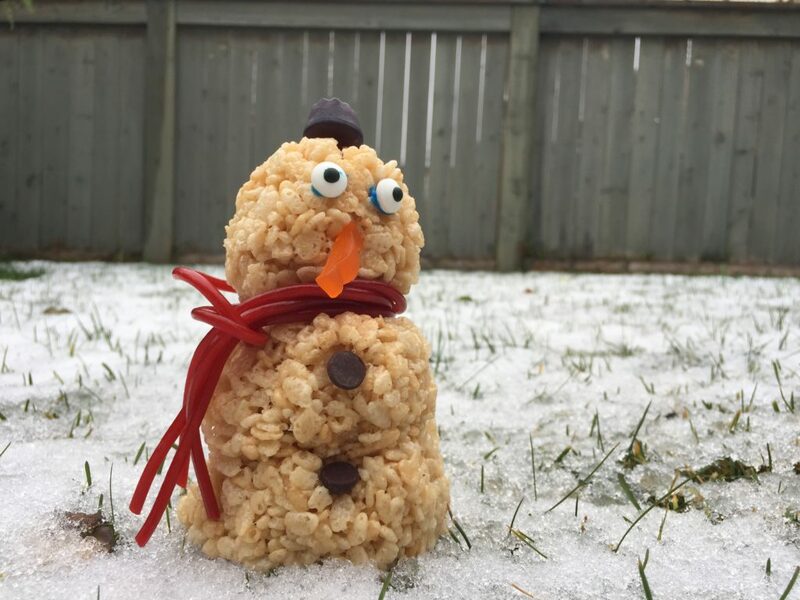 Simply make a toy-shaped Rice Krispies treat, upload a photo to treatsfortoys.ca before December 21, 2016, and then Kellogg’s Rice Krispies will donate $20* to The Salvation Army for the purchase of an actual toy for a child in need. Here are some treat turned into toy ideas we’ve worked out. 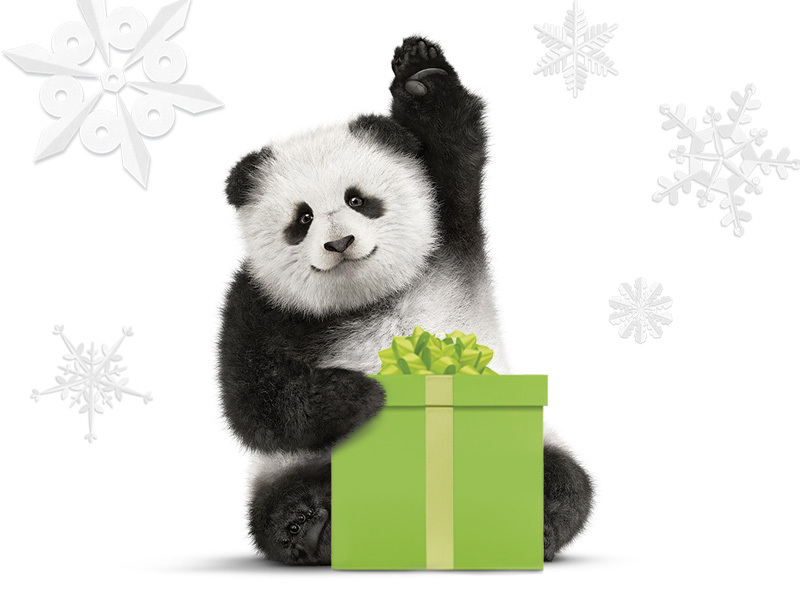 I’d love to see what you come up with at #TreatsForToys! On the surface, this sounds simple, right? 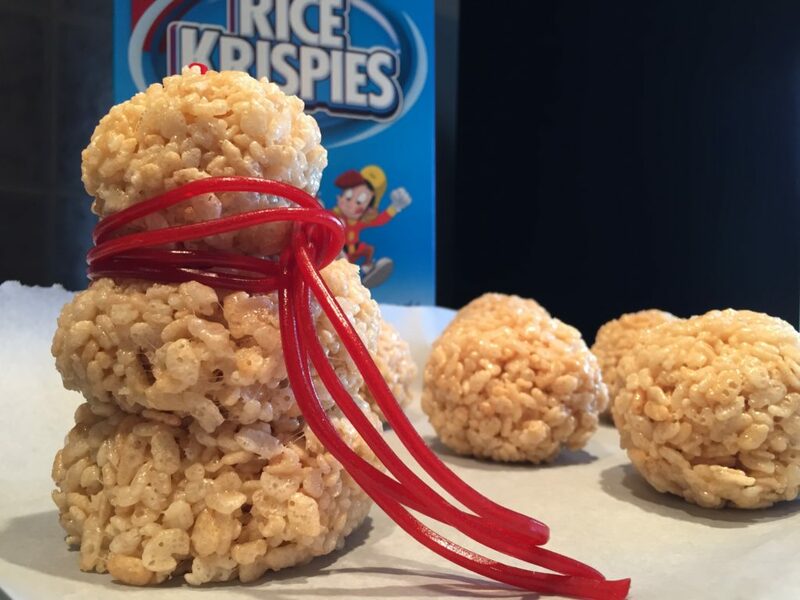 Roll some balls, stick them together, decorate like a snowman. 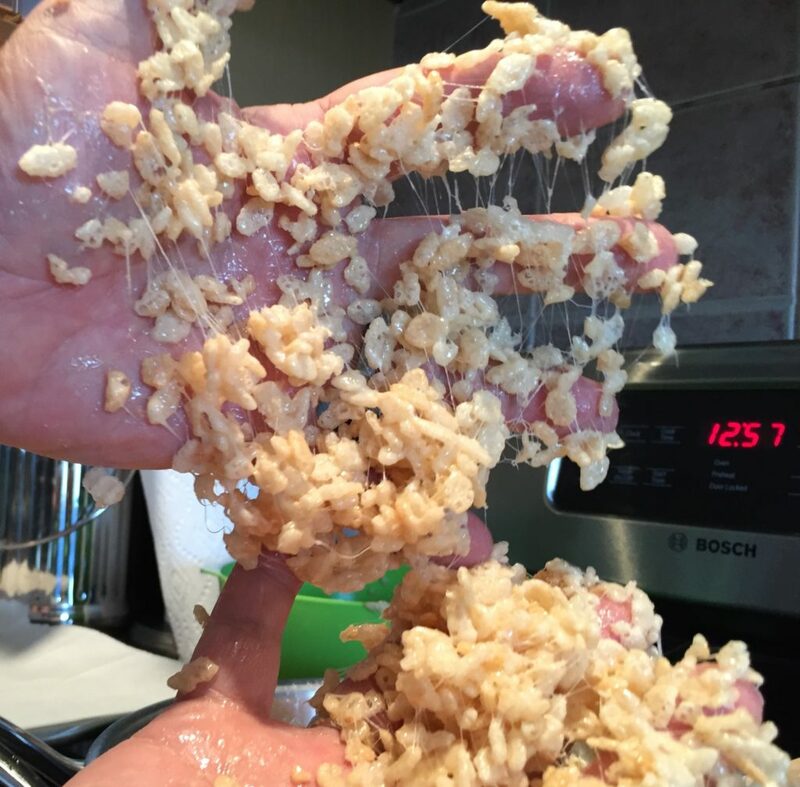 EXCEPT .. Rice Krispies treats are very sticky. It’s part of the magic, but it’s also part of the mess. 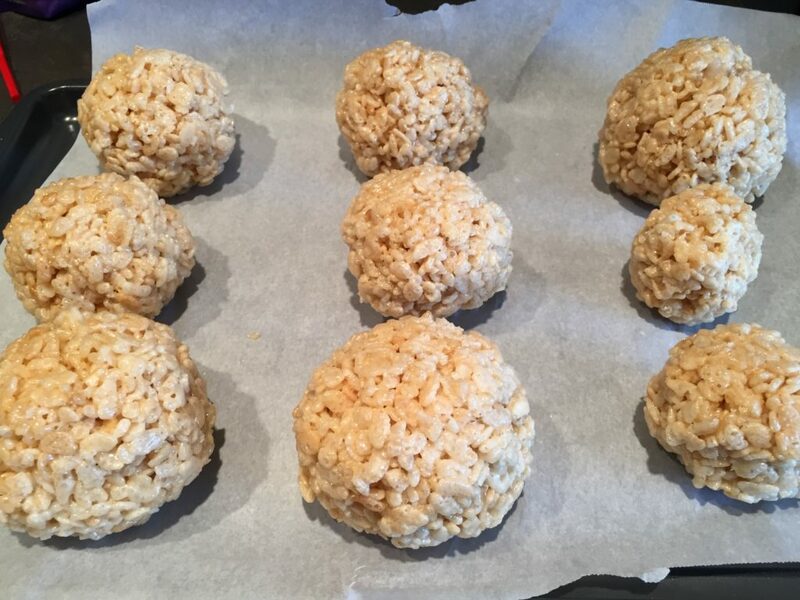 Before you roll your snowballs, grease up your hands with some butter. It will make life MUCH easier. If you can get your robot to stand, you will be a much better engineer than I. Still we got a very happy little robot who will stand tall .. for a few seconds at a time. We also had fun building castles and creepers by adding other fun food colouring. Your kids’ imagination is the only limit here. 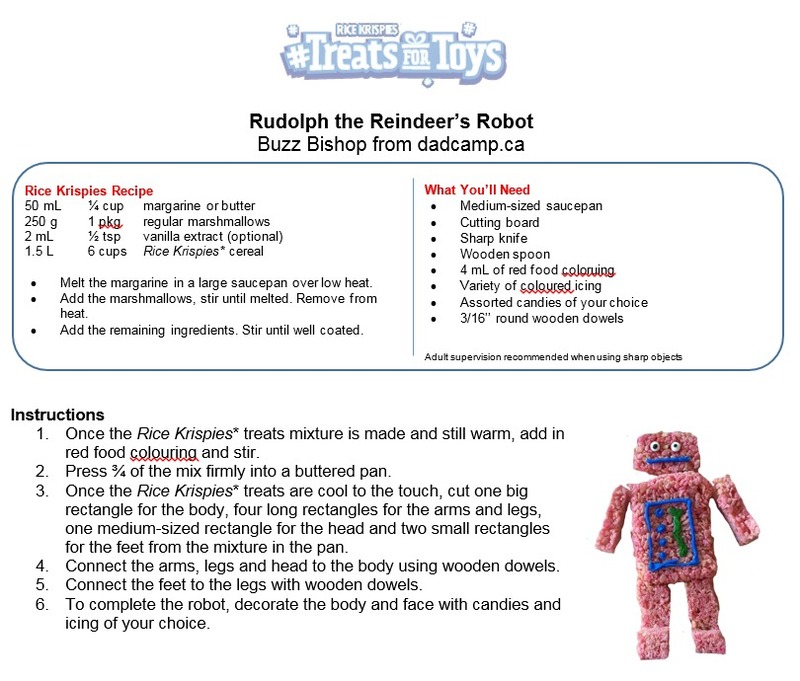 The Treats For Toys website is filled with more ideas, and instructions to cut your Rice Krispies treats pieces and build your own toys. 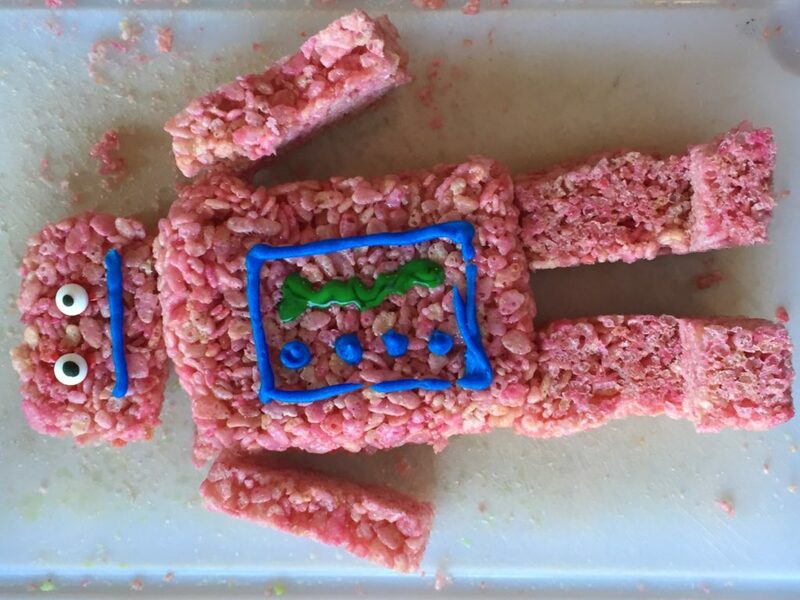 Now it’s your turn to make a Rice Krispies treat in the shape of a toy, photograph it and upload it to Rice Krispies site right here! 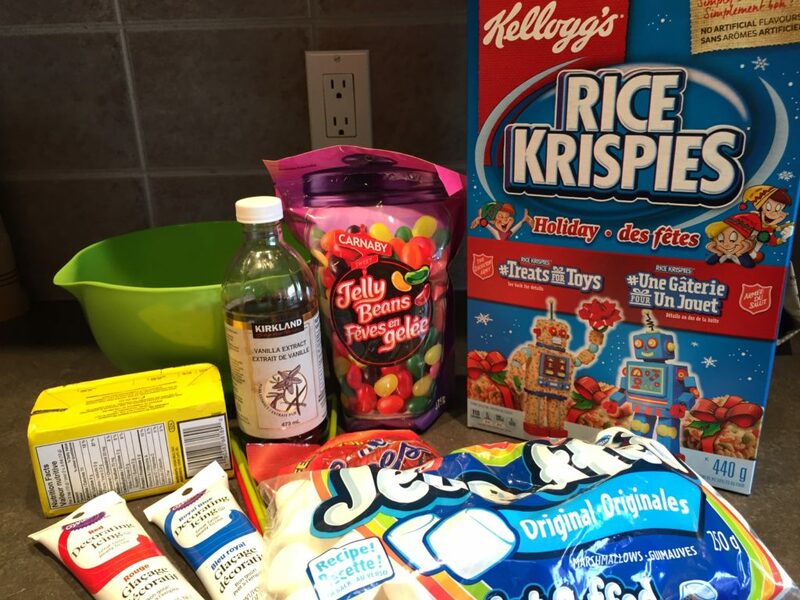 For each photo uploaded between now and December 21, 2016, Kellogg’s will donate $20* to the Salvation Army, so that a toy can be donated to a Canadian child in need.